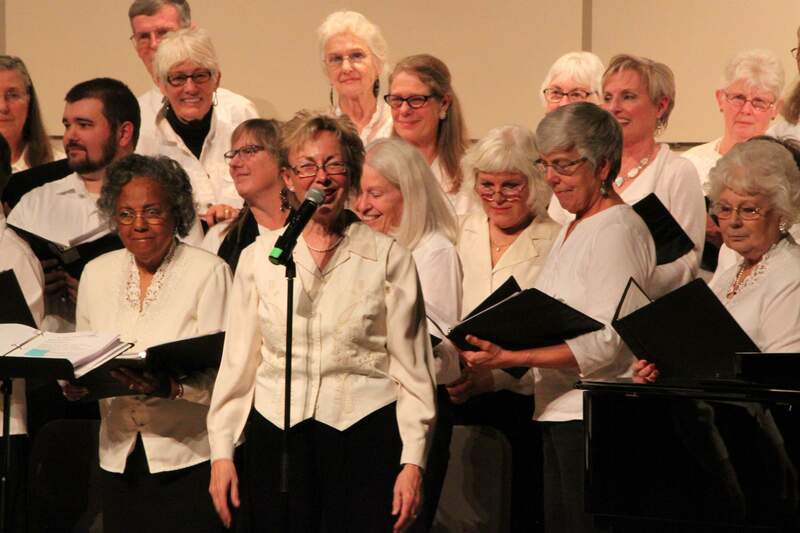 The Mancos Valley Chorus, directed by Kriss Larsen, is shown during “Snowflakes and Other Wintry Things” in 2015. In this file photo from 2017, Kriss Larsen, director of The Mancos Valley Chorus, performs a solo during the group’s annual concert at Montezuma-Cortez High School. As it enters its 21st year, the Mancos Valley Chorus is preparing for its winter concert schedule, which will bring the group through the Montezuma-Cortez High School, Mancos United Methodist Church and Mancos Senior Center. 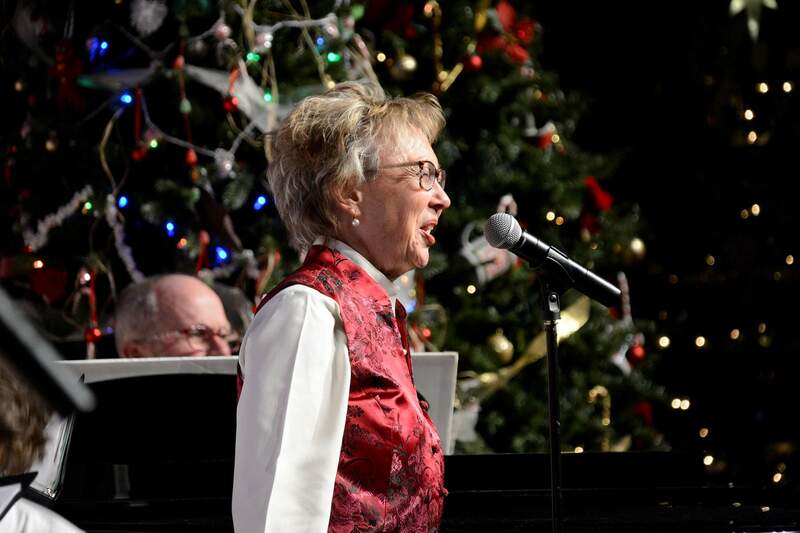 The chorus will be performing Christmas and holiday favorites such as “O Holy Night,” “Let it Snow” and “Winter Wonderland.” The lineup also includes newer, lesser-known songs. The chorus performs about five concerts each spring and winter. All performances are free and open to the public. She says that weekly practices can have a therapeutic effect on members and are a time to heal from everyday stresses and problems at work and at home. New members are invited to join the group each season without the need for auditions, as long as the group has no more than 36 singers at a time, the maximum that will fit in the group’s performance and rehearsal facility at the Mancos United Methodist Church. Members pay dues to join the group, although the cost can be covered “for anyone for whom the $20 fee would be a hardship,” according to the group’s website. The chorus also raises money to pay their director, accompanists and page-turners through donations, fundraisers and grants. The chorus will be joined in concert this year by pianist Lee Bartley and oboist Karen Harbaugh. The group’s director is Kriss Larsen. The group began practices in early September, packing the stage this year with 34 singers. Elementary singing lessonThis year, in addition to its public performances, the group will perform for the Mancos Senior Center and host Mancos Elementary students at the Mancos Opera House. Hatch said the group has worked with the students in previous years, as well. The chorus hosts students at the end of the day for a singalong, giving the children an opportunity to learn a short lesson in chorus. “They just love it,” Hatch said. Montezuma-Cortez High School: Dec. 4 at 7 p.m.Mancos United Methodist Church: Dec. 2 at 3:30 p.m.; Dec. 7 at 7 p.m.; Dec. 8 at 3:30 p.m.Mancos Senior Center, for patients and their families only: Dec. 2 at 2 p.m.